15 hardwood figures, stable converts into a convenient storage box. 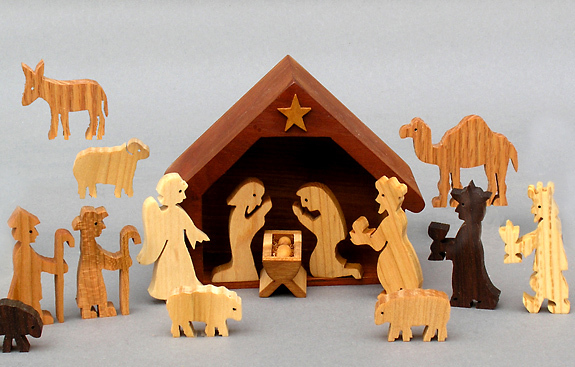 Our handmade Nativity Set includes all the wooden figures needed to create an enduring manger.An Angel, Mary, Joseph and baby Jesus in his crib are visited by two shepherds with their flock, three wise men bearing gifts, a camel and a donkey. Made from native American wood, all 15 figures are cleverly designed to fit into the cherrywood stable for storage till next season.